The Tugun Progress Association provides a voice and forum for the Tugun Community, its mission is to advance the interests of the Tugun Community, including its residents, ratepayers, businesses and organizations. Since its establishment in 1931 the TPA has played an important role in developing our community. The TPA has worked hard to ensure appropriate planning and infrastructure are delivered and the things that make the Southern Gold Coast special are nurtured. Projects include re-establishing a bank in Tugun, supporting the Tugun Bypass and the proposed Village Centre upgrade. It continues to represent the Community on the Airport Noise Abatement Consultative Committee and is presently working on a ‘History of Tugun’. 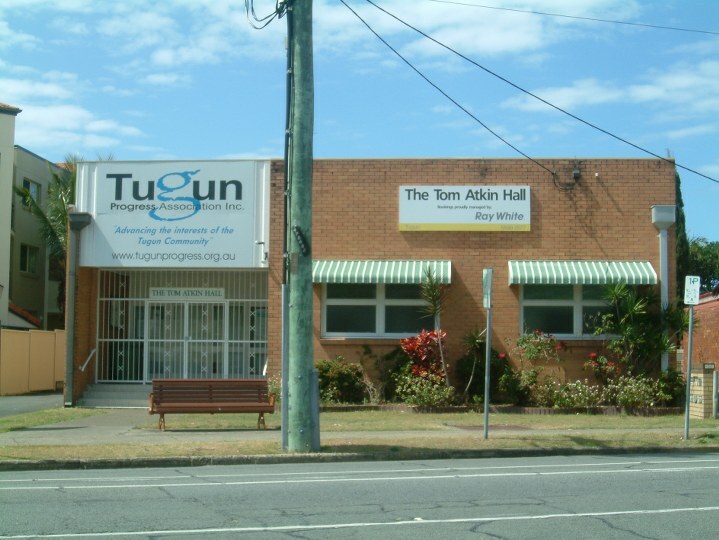 The TPA is the Trustee of the only Community owned Hall on the Gold Coast at 433 Golden Four Drive in central Tugun (Tom Atkin Hall). The Hall is available for regular and one off hire. Join now and you will receive emailed newsletters and invitations to our forums and meetings.